Halloween Matching puzzle is simple yet interesting game in which you slide the blocks towards another identical block. Use as less moves as possible to create a match. 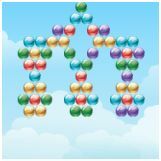 Match all the blocks to complete a level. There are 24 interesting levels in the game.This is an Ad Free Game. Use mouse or swipe finger to play this game.